For developers, sometimes we need to work on several Operating systems with Virtual Machines. Oracle Virtual Box is free and a better solution for virtual machines. When you need to create a small network with Active directory, you have to install the virtual machine as following settings. This worked for me. 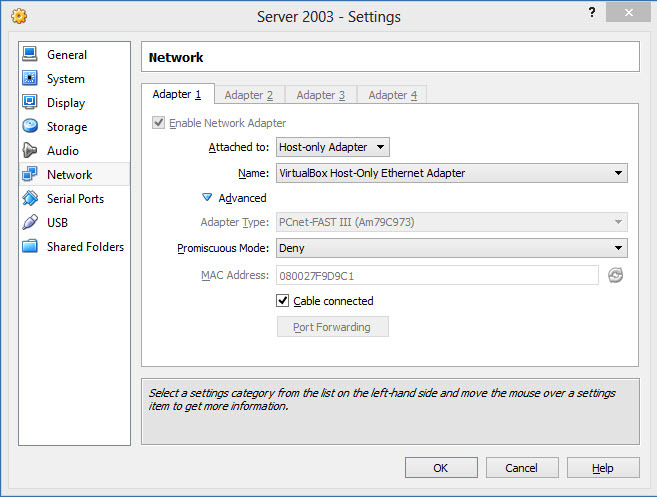 After setting above you can add your host machine to the AD of the server you have setup on the virtual machine. On windows 8 it is very convenient to switch between the two different systems.